Lightweight has today launched its brand new Meilenstein 24E wheelset which introduces a 24mm wide rim in a choice of tubular or clincher versions. This is the long-awaited wider version (24mm wide) of the most popular Lightweight Meilenstein wheel. There are many new features and rider benefits of this wheel which can be seen on the link below. 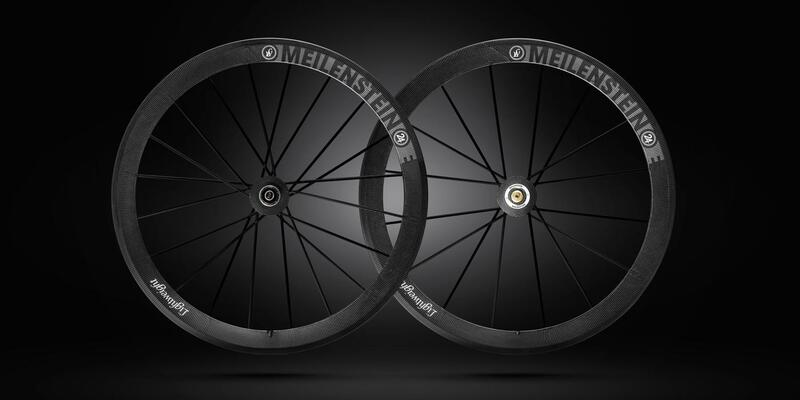 The new Meilenstein E wheels are available now from Bespoke Cycling. The clincher wheels cost £4,329 and the tubular wheels are £3,549. Order online here, call or visit us in store. The Meilenstein is the most popular model from Lightweight and is their stiffest wheelset. They are ideal for racing and riding in the mountains. The current trend is for wider tyres and wider rims though, and at 20mm wide the original Meilenstein wheels were looking a bit narrow compared to more modern offerings. 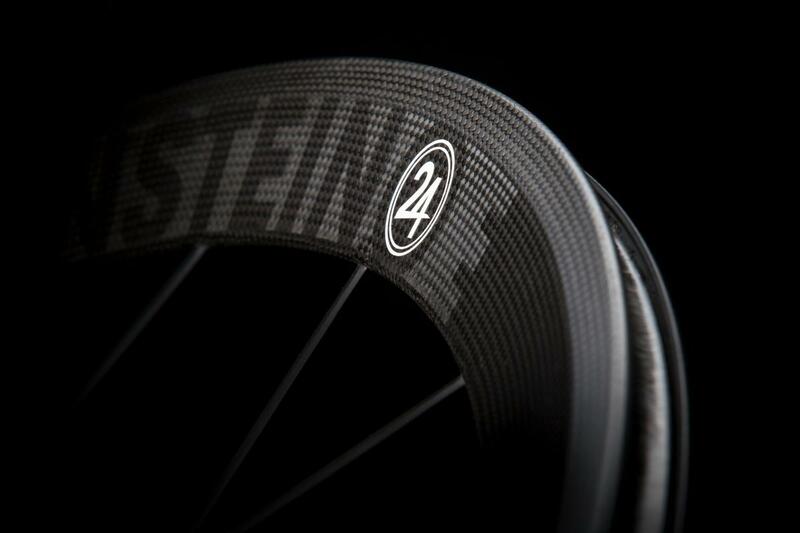 The new Meilenstein 24E brings the wheels bang up to date with a wider rim that works perfectly with 24 to 34mm tyres. We're seeing 25 to 28mm tyres being increasingly popular with Bespoke Cycling clients - more comfort, traction and less rolling resistance. Even the pros are onboard with wider tyres. Lightweight has slightly modified the rim depth, from 47.5 to 48mm. There's a choice of tubular or clincher versions, weighing 1,165g and 1,290g respectively. That's only about 60g heavier than the 20mm wide Meilenstein wheels (which are still available) so a tiny weight increase for the added benefits of being able to run wider tyres. That extra rim width creates a better platform for the wider tyre. The increased width creates a wider tyre footprint and results in less flexing and movement of the tyre in corners, for a smoother and more precise handling. The transition from the tyre to the rim is also smoother for improved aerodynamics. New rim aside, the rest of the wheels remain the same. 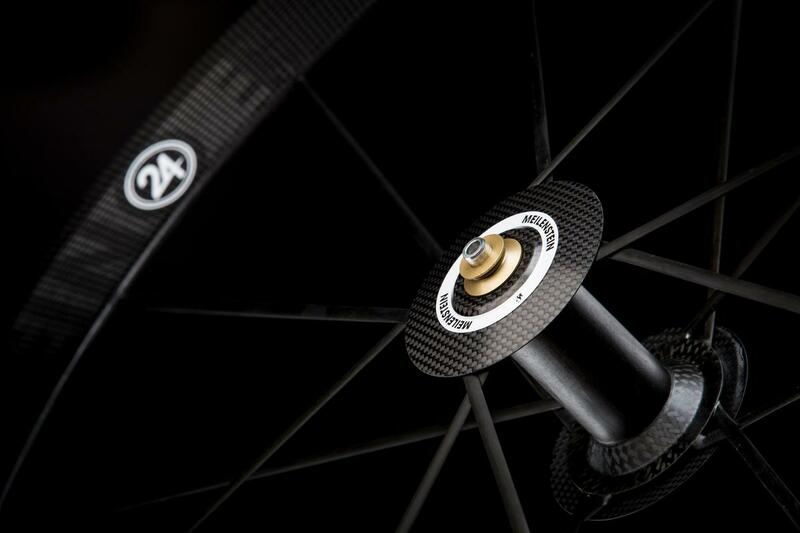 The unique carbon fibre spokes - 16 front / 20 rear with a 100kg rider weight limit or 20 front / 20 rear with a 120kg weight limit - are laced to all-carbon hub shells with DT Swiss 190s or 240s internals. 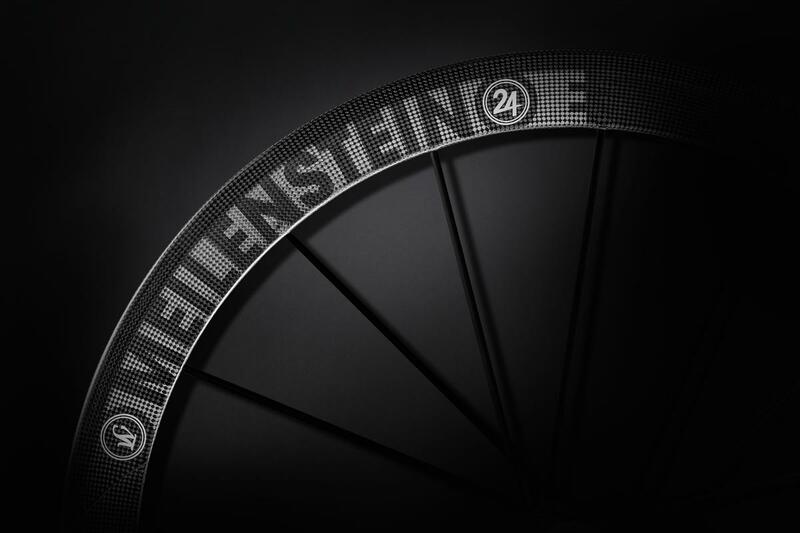 The new Meilenstein 24E wheels are available now from Bespoke Cycling. The clincher wheels cost £4,329 and the tubular wheels are £3,549. 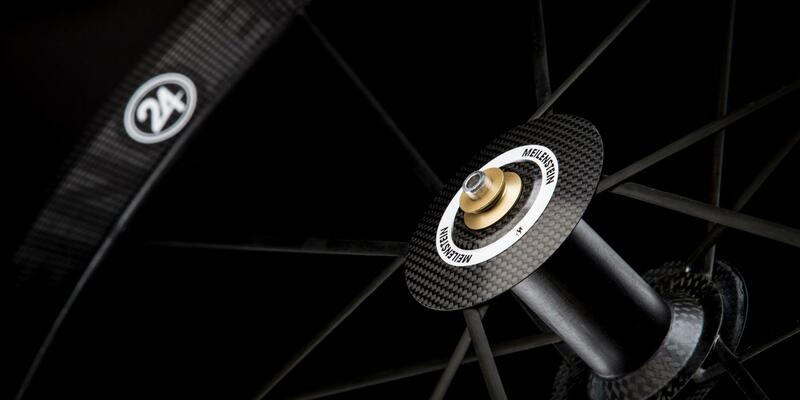 The German company was one of the first to introduce full carbon wheels to the road cycling market. Its background in aerospace carbon technology shone through in the exquisitely made wheels. They are handcrafted, phenomenally light and incredibly stiff wheels. There are countless stories of superstar Pros (Armstrong, Zabel, Ulrich, Cippo) buying these wheels at riding them de-badged in the biggest races. Our history with Lightweight extends more than a decade when we were the first UK distributor when they only made one wheel in a tubular form. So this wider rim is a very big deal; it takes the lightest and stiffest wheel on the market and makes it bang up to date in terms of aerodynamics and rolling resistance. We have been wanting these wheels for over five years now - to say we are excited is an understatement. Tempted? We recommend you order your set now, these long-awaited wheels are already selling fast and initial stocks will be limited. Tubulars are shipping imminently, and we expect the first lucky owners to receive their wheels mid-March. Clinchers are expected mid-April. Call or visit us in-store, email info@bespokecycling.com or order online here. Aero versus lightweight. Which is faster? What's faster, a lightweight or an aerodynamic road bike?